How visible are the small white scars from FUE surgery? 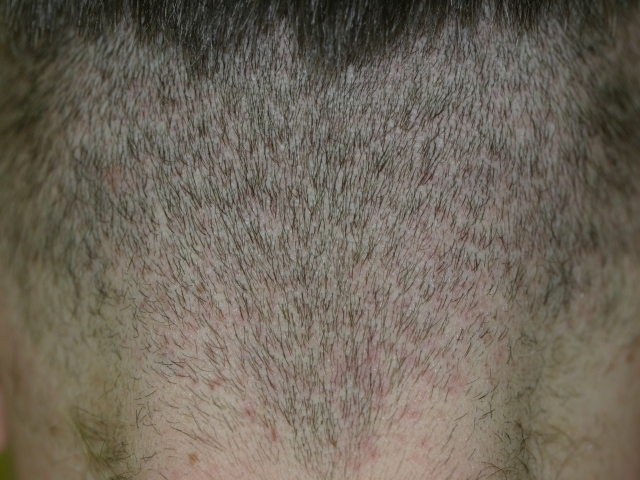 Would you be able to see these scars in the dnor area if you buzzed your hair, or shaved your hair? Do they ever disappear completely for some patients? Perhaps someone could post some close-up photos of these small white dots - It would be greatly appreciated. Strip surgery (or even FUT) is out of the question for me as I would not deal well with the scarring. But FUE is a real possibility if the donor scars are difficult to detect. I had 2000 grafts of FUE (Dr Amrani) and I can tell you that I buzzed my hair once all grew in, about maybe a month after my after pictures I have her on the forum and I noticed NOTHING AT ALL. No redness, no marks, no patches, no holes, nothing. Im not sure if this is the norm, but my current after report is ZILTCH. Nothing to report in terms of marking of the FUE. I think the important thing to remember is that everyone heals differently, as well the skill of the Doctor and his staff will make a difference as to how noticeable any scarring in the donor area might be. 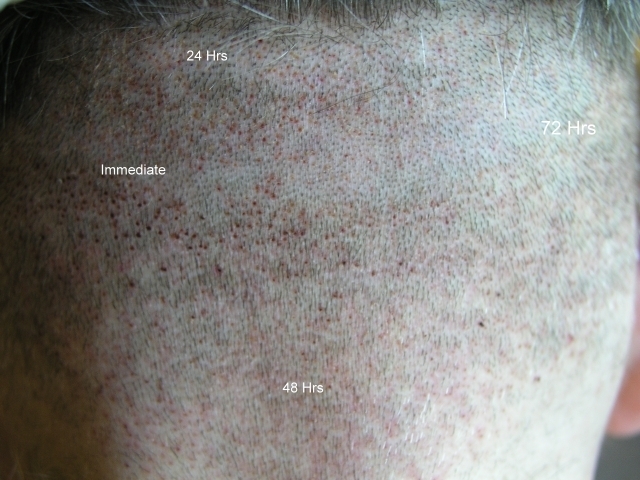 I have posted below a photo of an Armani patient who had 4,000 grafts extracted. He has his hair buzzed down to a 1 guard. There is no way the patient would have this option if he had undergone a strip procedure. The following is copied from another post by Dr. Woods. 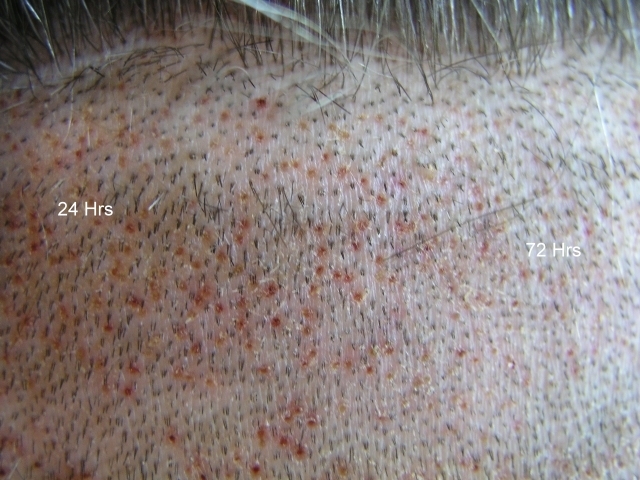 In this case, we removed the grafts in sections so that photos could be taken and clearly demonstrate healing rates, side by side, over a period of days. 4 consecutive procedures were performed over an approx. 10 cm2 area, removing 2,400 grafts. The appearance of the donor site during actual surgery, and at 24 hours, 48 hours & 72 hours post op. At the 9 day mark, the scabs are almost completely gone except for a few. 3 photos were taken at increasing magnification. Finally, 3 photos showing overall result at 9 days at different magnifications. The underlying principle is trauma minimiliztion. Adherence to this and 15 years of experience in developing this field led to The Woods Technique Declaration of Patient Rights. 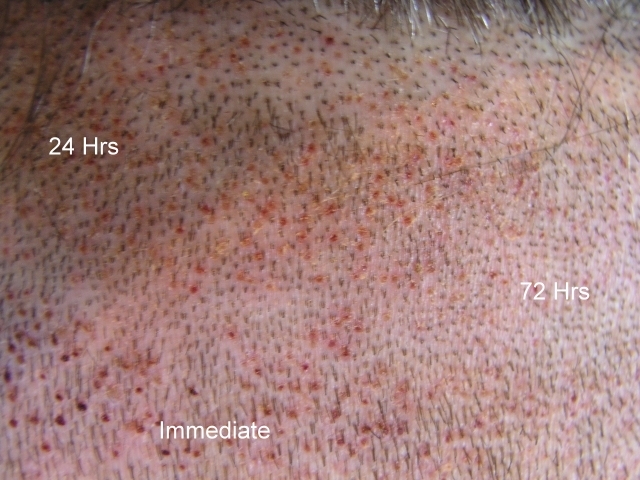 Removing follicles correctly, without transaction or peripheral damage is an incredibility difficult process requiring specific skills, precision, and uncompromising dedication. And once the process is complete, we believe the best thing to do, is to ‘leave it alone’. The same applies to the recipient area. White blood cells, which mediate the immune response including fighting infections. Fibrocytes. These cells create the healing fabric, called Fibrin, which binds the cells together. From DAY 1, we insisted that the natural blood clot and scab formation must not be interfered with. 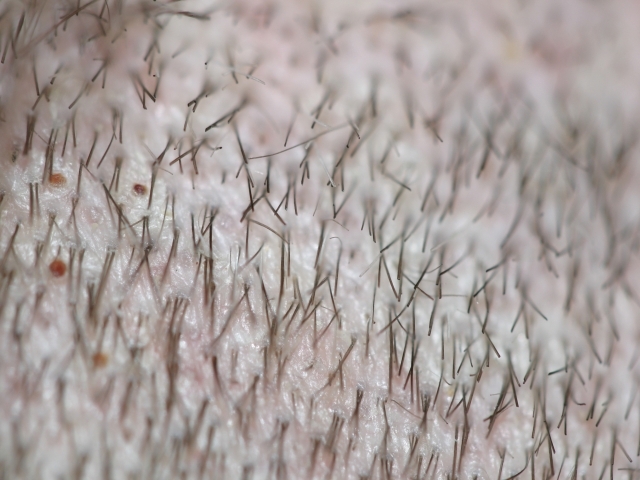 After 15 years and thousands of cases world wide we can state that, apart from normal ingrown hair inflammation, our significant infection and wound complication rate is ZERO. We believe that nature’s mechanisms cannot be improved upon by a cocktail of chemicals mixed up in a vat and packaged into a medicine container. This may not be the case for some surgery but for hair transplants it is probably the bottom line. Nature is pretty bad at dealing with a lot of pathological events but dealing with small and medium size trauma is its forte and probably not to be interfered with as of now (in my view). I supose that this forum are plenty of good and bad FUE cases. So I hope they can show their photos, the good and the bad scenarios, and tell us their history. 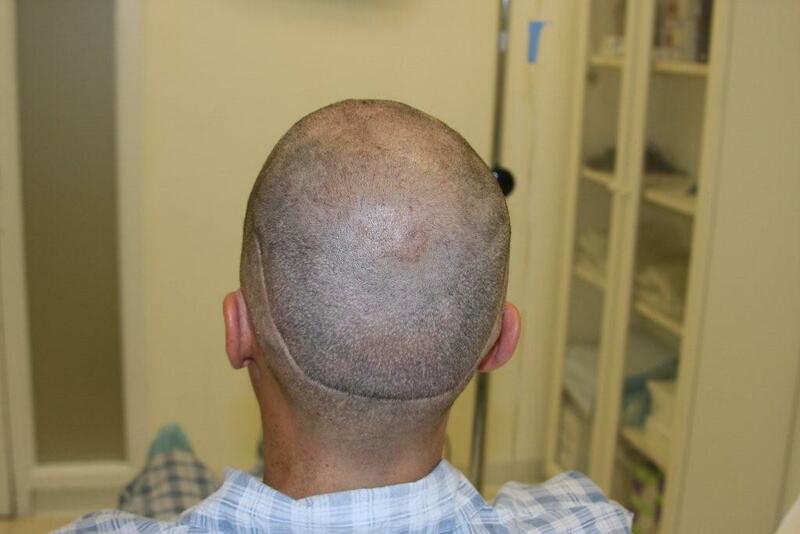 This can be very helpful to the people who are planning to do a Strip or FUE procedure. Nobody knows if any doctor used Acell or Juvista on a FUE procedure (not strip), and see if there are a complet/partial healing? This can be very useful for the lack of pigment. » do a Strip or FUE procedure. » useful for the lack of pigment. What is Juvista? Jones tried Acell before, I guess it didn’t work, I don’t think he is using Acell on his patients anymore. » » do a Strip or FUE procedure. » » useful for the lack of pigment. » think he is using Acell on his patients anymore. Juvista is like Acell. It’s used to treat skin wounds, to prevent scarring. I know Dr. Jones tried Acell with a patient, but he did it with a large wound, not a little FUE hole. This scenario can be very different, I don’t know. 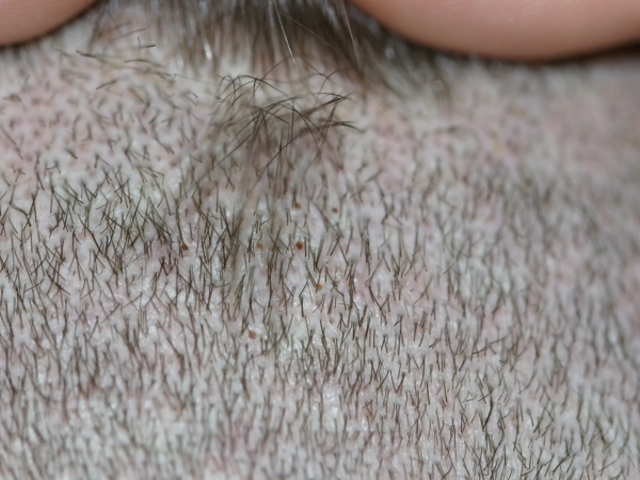 I don’t asking for regrowth (I think this can’t be possible with Acell), only to prevent the white dots. Can you post the before and after pictures of this patient. Any more buzz down donor pics besides these ones? An Armani patient named Ernst. Search the forum for Ernst and you will find his post with more pics. How many fue grafts did Ernst have? » find his post with more pics. » How many fue grafts did Ernst have? I believe 3000 fue up until this photo, where he was getting another fue. Here is what he put in another post. I marked the procedures as STRIP and FUE based on what he said in other posts. "That is the point where I am now. Really good. 4th appointment and final procedure will be, to fill up a thinning area in zone 4." There is also a photo of him immediate post op after the last procedure of another 2k fue. Don’t get me wrong, fue is still a billion times better than strip, but those dots can give someone second thoughts about surgery. its difficult to see FUE scarring from photos.its still much better than strip in every aspect but its not invisible. 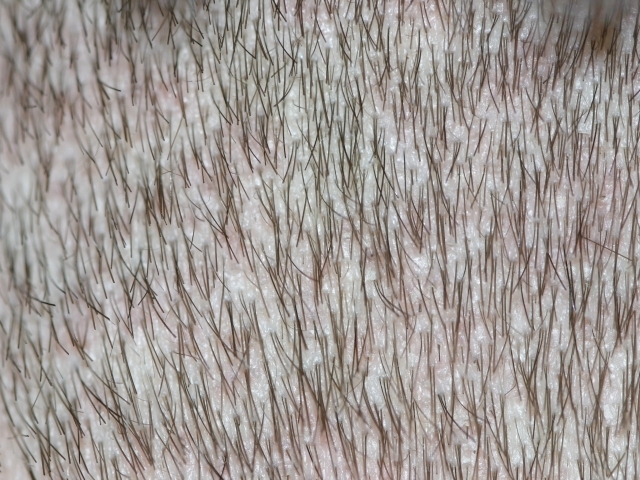 Its not so much the dots its the gaps that are left between hair that makes it very noticeable. Its true that you can go much lower than strip and not look like fraknestein but still the donor looks weird especially if you had a lot of grafts. 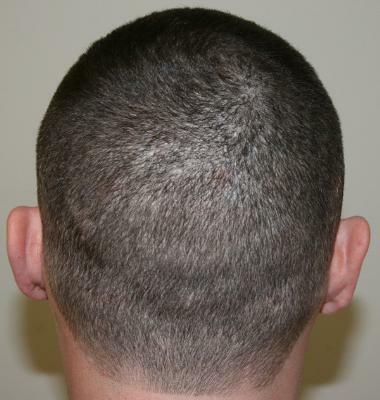 the worst thing that can happen with fue is when many grafts have benn harvested and the remaining hair in the donor start loosing their normal direction(which is pointing downwards) i dont know why this happens if it has to do with donor scarring or its just like with hairloss when you start to thin and you are a diffuse thinner and your hair start pointing in weird directions. » Damn, that IS noticeable. » those dots can give someone second thoughts about surgery. 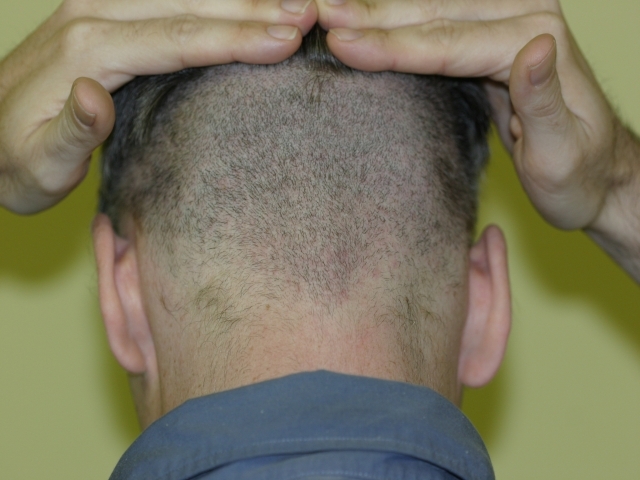 Fue may be a billion times better but you still need strip if you want to max out the # of grafts, fue simply can’t give people the # of grafts they need. » » Damn, that IS noticeable. » » those dots can give someone second thoughts about surgery.